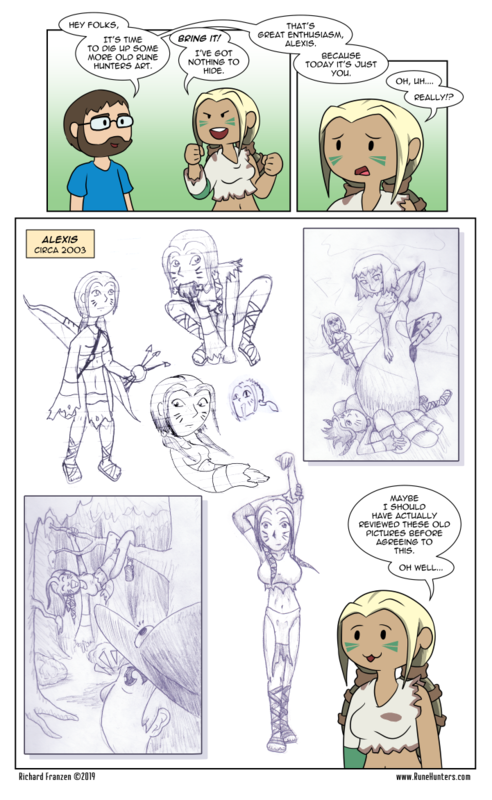 It’s that time again for some more behind the scenes Rune Hunters artwork. Today, Alexis takes center stage. From the start, she was always envisioned as being Ada’s wild older sister. She’s the one character that has gone through the least amount of change since I originally envisioned her.